MobileWins Casino was launched in 2014 and offer a great online casino product which is fully supported across all digital devices and operating systems. Players can enjoy a great collection of casino games while playing on their smart phones, tablets or PC. The game catalogue is powered by the ProgressPlay platform which include several top quality game vendros such as NetEnt, NextGen, Microgaming, ELK, 1X2 Gaming, Thunderkick, Lightning Box, Scientific Games, Big Time Gaming, Genesis and Eyecon to name a few. They also offer a live dealer product which is provided by Evolution Gaming and Extreme Live Gaming. The game lobby is presented with a classic grip pattern where the players which can be sorted by game types such as Slots, Casino Games (table, card and video poker games), Live Games, Jackpot Games and Casual Games which includes instant win games, bingo and keno games. There’s also the possibility to filter the game catalogue by Provider, New releases and Favourite games. If the player happen to know the title then there’s a search function available where the player simply enter the game title to locate the specific game. The customer support is available 24/7 every day of the year. The helpdesk can be reached by using the live chat function or simply by using the e-mail submit form. There’s also a great FAQ page at MobileWins Casino where players easily can find information about the most common issues related to the player account, technical issues, banking and information about certain games. MobileWins Casino is available in English, German and Swedish. MobileWins Casino is operated by ProgressPlay Limited. They are licensed by the UK Gambling Commission and the Malta Gaming Authority. MobileWins Casino meets the highest standards of player fairness, safety and responsible gaming policies. MobileWins Casino Welcome Bonus: Get 200% First Deposit Match Bonus up to £/$/€200 (bonus code: 200BONUS )! New and eligible members of MobileWins Casino are able to claim an EXCLUSIVE first deposit match bonus of 200% up to £/$/€200 (2000 SEK). This means that your first deposit will be tripled once you make your first deposit using the bonus code: 200BONUS. The minimum deposit is £/$/€10 and the bonus is subject to a x50 wagering requirement. Click here and join MobileWins Casino and get a 200% First Deposit Bonus up to £/$/€200! MobileWins Casino: Get bonus on 2nd and 3rd Deposit! 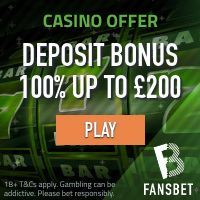 2nd deposit: Get 50% deposit match bonus up to £/$/€300! 3rd deposit: Enjoy a 100% deposit match bonus up to £/$/€300! The minimum deposit for both the second or third deposit match bonus is £/$/€10. The bonus wagering requirements are x50. Bonus terms and conditions apply. Other Casino Promotions at MobileWins Casino! MobileWins Casino offer a great set of ongoing and time limited casino promotions. These include exciting treats such as the Weekly Surprise, Live Dealer Cashback, Roulette Promo and much more. Make sure you keep an eye out for new promotions in your e-mail inbox and phone texts. MobileWins Casino accepts all major payment methods including credit/debit cards, direct bank transfers, e-wallets and several regional payment solutions that differ from one country to another. All transactions and other stored information is protected by the most advanced encryption technology available. Popular Online Video Slots at MobileWins Casino! MobileWins Casino house an impressive collection of online video slots from some of the best game developers available. At the moment, the following video slots are very popular at MobileWins Casino: Reel Talent, Halloween Jack, Starburst, Gonzo’s Quest, Coins of Egypt, Diamond Mine, Dazzle Me and Rainbow Riches.